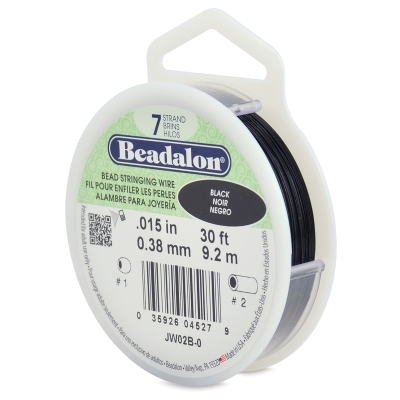 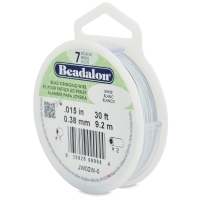 Beadalon 7 Strand Bead Stringing Wire is made up of seven strands of stainless steel wire with a thin, smooth, kink-resistant nylon coating. It's a strong, soft, and flexible wire, making it a favorite of professional jewelry designers. 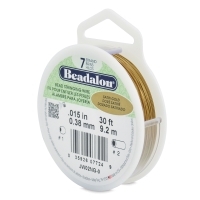 Finish your designs with crimp beads and your choice of findings. Beadalon 7 Strand is 100% waterproof, UV resistant, and abrasion resistant. 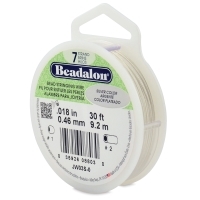 The bead stringing wire is available in two diameters — .015" (0.38 mm) thick and .018" (0.46 mm) thick. 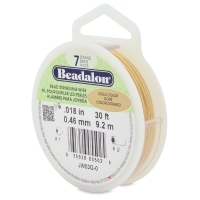 Each spool measures 30 ft (9.2 m).